Yesterday we told you that Apple had dropped the price of their iCloud storage, although at the time the cheaper prices were not available if you wanted to upgrade your storage. 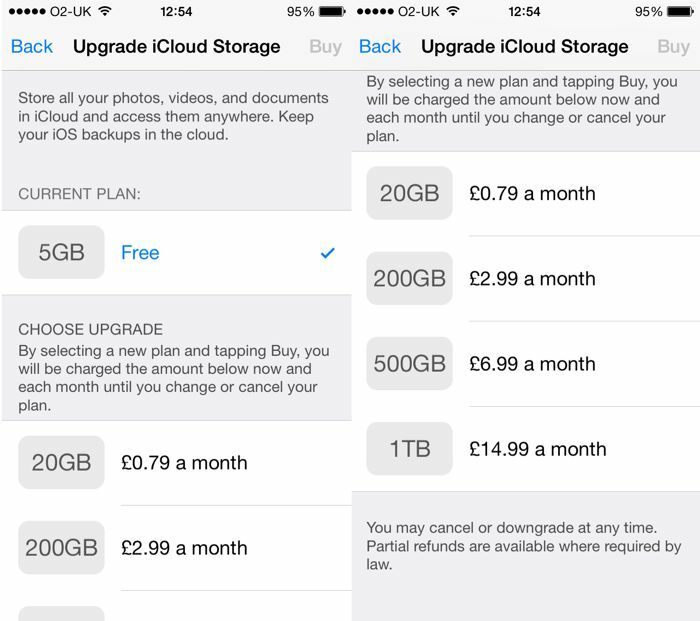 Apple has now made the cheaper iCloud storage options available, and prices start at $0.99 a month in the U.S. for 20GB of storage of £0.79 in the UK for the same storage. If you want more storage, then 300GB of storage will cost you $3.99 in the US and £2.99 in the UK, 500GB of storage is $9.99 in the US and £6.99 in the UK, and the top plan comes with 1TB of storage which will set you back $19.99 a month in the US and £14.99 in the UK. These new cheaper prices have been introduced ahead of the launch of Apple’s iOS 8 which will be made available on the 17th of November, this will introduce iCloud Drive, which will allow you to store photos and more on your iPhone or iPad, and will sync across all of your devices.